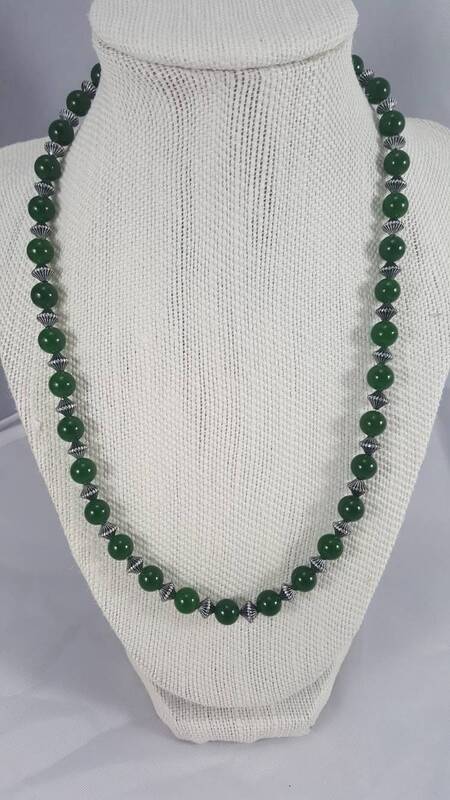 18 Emerald green Jade pearl necklace with Metallic silver beads. 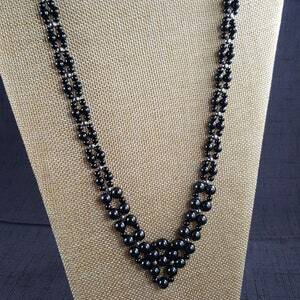 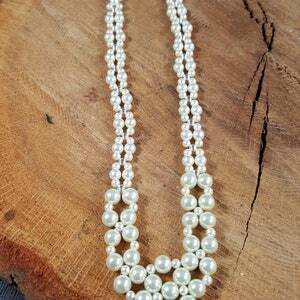 18" Emerald green Jade pearl necklace with Metallic silver beads. 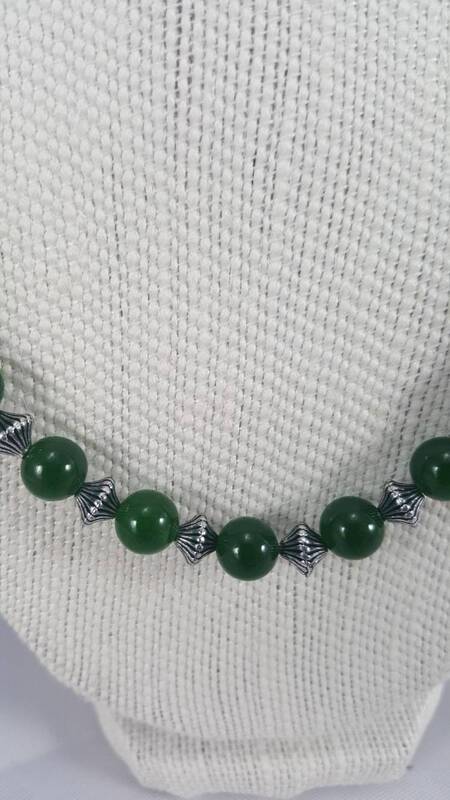 Elegant 18" Emerald green Jade necklace with Metallic silver beads throughout. 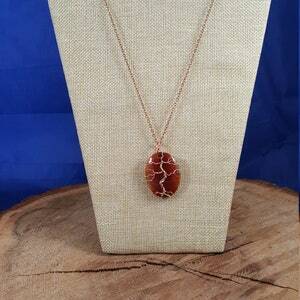 Tree of Life pendant with a 20" copper chain.